Amazing website run by students in ireland that is inviting more participants from other locations. The bandwidth issues experienced here in South Africa, called the most wired country in South Africa, have hit home for me. Really, I haven't been yelling and stomping my feet - it would do no good. I've been doing what I can do -- grabbing my handy camera and recording everything I can to share with you when I get online. This is what people do and why we must be flexible as we collaborate globally. Great barriers have been overcome by teachers here and lots of hard work has been part of what they've done! This has truly been a great experience and I hope that even more teachers will apply for the Microsoft Worldwide Innovative Teachers Forum next year. It is a competition and I'm so impressed with those who have made it here. They use a variety of tools -- some Microsoft, some not, but many are using the free tools as a component of what they are doing. Next year, we will be in the US in Washington, DC. But to get there, one has to compete in three rounds of competition! Microsoft is worldwide and the projects demonstrated here have a richness and diversity I've not seen at anything else I've attended in the world. Honorees are indeed all incredibly inspirational. I wish I could post a recording with all of them. I'm tremendously impressed with the diversity and calibre of the educators here and have found myself on the verge of tears many time as my own tendency to complain and whine about the comparatively insignificant problems of my own classroom have reared into my psyche. Hope you continue to take time to watch some of these videos and get inspired! Interview with Michael Furdyk, Co-Founder TakingIT Global and Claudia Brown from the Smithsonian Institute about the ideas behind their collaboration, scientist's student sourcing data collection, and the projects that will be part of the Shout Learning project. Excellent article by Ewan McIntosh from the Microsoft Worldwide Innovative Education Forum in South Africa. As an expert in school architecture, Ewan gives some great insight into the unique and functional design of this school and is a wonderful article to read on that topic for those planning schools. The students had a bake sale to raise money to go to the Internet cafe in town (15 km away) to blog. When they wanted to raise awareness about protecting endangered plants, they had teachers bring charged laptops to school so they could scan the hand drawn images and make flyers in Microsoft Publisher. To create a botanical garden growing these plants, they raised money to go to a botanical garden and filmed how to create their own. They produced the film and then went home and watched it to re-learn the steps for making their own garden to grow the endangered plants and protect them. The only thing limiting technology integration is the excuses we make to ourselves for not doing it. Part of the Microsoft Partners in Learning Worldwide Innovative Education Forum 2010 series. Click the msief tag below to see all posts in this series. Highlights of this conversation to me were the conversation on the free tools Microsoft has rolled out for teachers. Things like AutoCollage, PhotoSynth, World Wide Telescope, Mouse Mischief, SongSmith, and more including the Microsoft Free Tools Guide. There are some really handy, stable offline alternatives that you can install on your computers at school where you have bandwidth issues or just like the stability of having a program installed on your machine. We talked about what Skydrive really means for students (you no longer have to open up that MLA paper into a Google Doc or other tool and lose all your formatting but can use skydrive and open the file on any computer with Microsoft Word or in the free online Microsoft Word editing tool.) I've found that the only programs that can handle MLA papers are offline word processors so this is amazing news for teachers who have students write term papers! Skydrive also gives users 25 GB of storage with the free service. 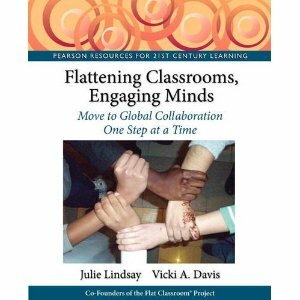 I've been using the predecessor Office Live for some time and we find it very useful for coordinating the global Flat Classroom projects, conference, and for editing our new book that will come out in January 2012 from Pearson. Scalability and Reaching the "Next Classroom Over"
Anthony retells a riveting story from his keynote this morning about going into a school and being taken to a classroom where teachers are doing amazing things. He says as he travels the world, he has begun asking to see the classroom next door or the one down the hall and that the response most often is "you don't want to see that classroom there's nothing special going on there." This is why Microsoft has been working with Harvard's Chris DeDe on Scalability models. The embed code is just phenomenal and you can extract articles and have them ranked by "importance" or the most recent first and up to 10,000 articles by one person! Wow! 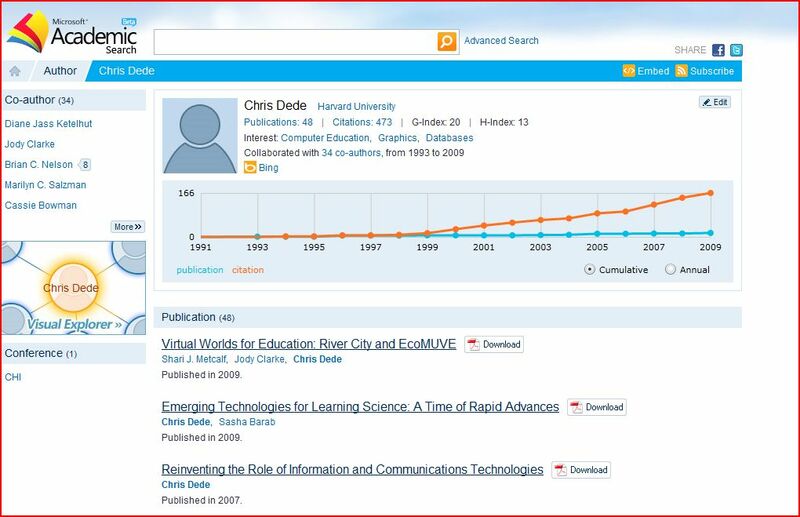 One caveat... what happens when people start searching for an academic and instead find a page like aggregated above. Spammers and engines could actually generate traffic off of an academic's content, particularly if that academic scholar has no web presence. (Search engines weight on traffic.) This is another wake up call to academics and everyone that they must protect their online identity by having a presence on the Internet. As I was talking to Frank Schmit from Luxembourg, he mentioned that he had to join Facebook because his students had created a fan page for him on Facebook! Tongue in cheek it was called "the bestest English teacher on Facebook" and it was kind compliments of his abilities as a teacher. This just points out that many academics are joining these spaces for the imperative of having a presence. Academics if you don't join a space, someone else will join it for you. Again, as I summarize, I hope you'll listen to the conversation with Anthony above. Although the world has seemed to have a love affair with "free" and Open source -- honestly, there is really no such thing as free and I do find it refreshing to have tools that aren't tracking student data or requiring a sign of up any kind for my students to use! When you think that you can't do it any more, meet Naomi Julius. A teacher who had me laughing and crying and inspired to overcome all excuses, particularly those I give myself in my own mind. This teacher often has forty or fifty children in her school in this school in South Africa. Her comments on teaching and love for the children shine through for those who make make excuses for themselves. Sometimes one must see the true face of inspiration to realize that often we limit ourselves by our own mindset. "usually we have one teacher and lots of students. Now we have lots of teachers and a few students, so feel free to grab one and teach them something!" "I don't know what to do with them, that's why I send them to school." "If I have a class of 40 and 5 get connected, then I can be proud. I can open opportunities for them, that is all I can do." Also in this video is Maryam Allouzi principal of Al - Jubaine School in Jordan. We join them as they are discussing the difficulty motivating students when the news media paints a bleak picture of the potential for getting a job even with an education. Her computer lab is old crt computers and boxy towers with 21 -- students work two per computer and they struggle just to teach the basics. Interestingly, because of size limitations, I've been hearing at the conference how many of these teachers are appreciating and Mouse Mischief, a new free multipoint PowerPoint add in. I've found it fascinating how many of the african teachers have mentioned this one tool. "I have enough for bread and if I do not have enough for butter, then I just do not buy the butter." Naomi, what an inspiration to teachers around the world you are! Thank you to the kind commenter below who pointed out a flaw in the scrolling text in the original video. I've remixed and reuploaded the video and embedded above. I'll be adding to this flickr stream set. Make sure you view the descriptions to understand the meaning behind each of these photos. Come back to see more as I upload them. In this interview with Linda Bradfield from St.John's College in South Africa she discussed the Trash to Treasure project. It is so exciting to see teachers work with parents and make changes in behavior and also improve technology skills. This project was presented at the Microsoft Worldwide Innovative Education Forum in Capetown South Africa, 2010. I want to make this announcement so you can dig in although I will come back and enhance this post with the recordings and photos of the last few days. Microsoft, Taking IT Global, and the Smithsonian Institute have just announced a collaborative three year platform for students to study Land, Air, and Water. This year's focus is on land and will kick off with an extension of the Deforest-action project that first came from the Microsoft Innovative Education Forum in Asia this past year. The website is www.shoutlearning.org and will allow students to interact with scientists at the Smithsonian and each other as they collect data on tree growth. Leading the science team are Geoffrey Parker and Josh Falk of the Smithsonian. Dr. Parker made splash in the news earlier this year as he discovered that trees in Maryland are growing faster than they should be according to traditional data. Five hundred kits will be distributed to schools around the world to measure tree growth, collect data, and share the data between students and classrooms as they learn to analyze tree growth in this important project. When asked about how students could be expected to collect such data, Dr. Parker commented that there are methods to help distinguish between "signal and noise" meaning that the "noise" caused by improper techniques is pretty distinguishable from the signal of data change using statistical methods. Citizen science has been emerging through projects like Project BudBurst that tracks blooming data and many citizen scientists have joined in around the world. Now citizen science has moved to the classroom with students collecting data. In a world of academics, this approach seems to be somewhat revolutionary. Student at Hout Bay High School bands a tree and learns to measure growth. I asked Dr. Parker "what will you say to those scientists and people around the world that students cannot be trusted to collect data properly and be accurate in what they are doing?" "I'll prove them wrong," says Dr.Parker. Not only will Dr. Parker prove that this can be done, as a blogger and co contributor to this Flat world I believe that this partnership between the Smithsonian, Microsoft, and Taking IT Global will begin showing the power of student sourcing science and is only the beginning of a trend that will continue to shape education. I hope that many foundations, organizations, scientists, and companies will look to fund such projects to help science, math, and social action learning become real to students. A video documentary about 1 million students saving the rain forest is being filmed now by an Australian Film maker will be narrated by Hugh Jackman about the deforestaction project which is part of the shoutlearning.org network now. Expect more on this story later... As a person who believes in "flattening" the classroom - seeing scientists work with students is very powerful and exciting. 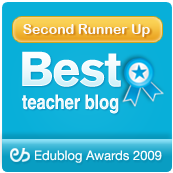 "RT @cafepedagogique: Innovative Teachers already present in the Café Pédagogique blog .. In French http://tinyurl.com/2vsd4ay #msief"
Curious, I went to the post aptly titled, Décrocher les étoiles , translated as "Unhook the Stars" and saw French and Arabic coexisting on the same post. Curious, I started translating. A Pedagogical Innovation Lexicon Emerging? "Kamal Essouafi, enseignant scientifique pour des enfants de 12 à 14 ans, à Foum Ejamaa, Bzou, Azilal au Maroc a répondu à mes questions par mail interposé. Il l’a fait en arabe, nous rappelant au passage que l’univers de la francophonie s’avère multilingue. A Cape Town, nous rencontrerons, des enseignants anglophones, hispanophones, russophones, dont les langues natales composent la mosaïque de la richesse linguistique mondiale. Nous emprunterons alors notre anglais hésitant pour nous parler et retraduire approximativement dans notre langage quotidien les teneurs d’une rencontre que l’on imaginera plus dense que ce que l’on en percevra. Mais après tout, se comprendre entre les mots, broder des ponctuations pour combler les points d’incompréhension, nous permet de construire un nouveau vocabulaire où l’innovation pédagogique fait office de lexique. L’interview de Kamal Essouafi en arabe et en français nous offre un premier aperçu de ces rencontres en mode multiculturel." "Kamal Essouafi, science teacher for children aged 12 to 14 years, Foum Ejamaa, BZOU, Azilal in Morocco has answered my questions by mail interposed. He did it in Arabic, reminding us in passing that the world of Francophonie is multilingual. In Cape Town we meet, the English teachers, Hispanic, Russian speakers, whose native languages make up the mosaic of the world's linguistic richness. We will take our time to talk about halting English and translated back into our everyday language about the contents of a meeting that is denser than imagine what we perceive. But after all, understanding between words, punctuation embroidery to fill the points of misunderstanding, we can build a new vocabulary which serves as a pedagogical innovation lexicon. The interview with Kamal Essouafi in Arabic and French offers a first glimpse of these meetings multicultural mode." "we can build a new vocabulary which serves as a pedagogical innovation lexicon." "Comment vous en est venue l’idée ? J’ai constaté que les élèves rencontrent beaucoup de difficultés quand on parle de l’astronomie. Un simple livre ne suffit pas pour guider nos élèves afin de mieux comprendre et saisir les secrets de ce fabuleux univers." How do you get the idea? I found that students encounter many difficulties when it comes to astronomy. A single book is not enough to guide our students to better understand and learn the secrets of this amazing universe. A single book is not enough? Really? A teacher in Morocco writing in Arabic to a French blogger finds the same conclusion as a United States teacher in the remote town of Camilla that "a single book is not enough." Tens of thousands of you are also drawing the same conclusion and grappling with this question of: "if this is the case, so what do we do now?" Isn't that one of the premises of a modern education. Despite what we "say" that we can have a "textbook" for each class that completely embodies all a student should know about a particular topic in a particular year? So, what does this teacher do? It seems that the teacher has a model of the solar system that the students use. In the last item which I translated from arabic to English. بواسطة ما يوفره الدليل من إمكانات، سيتمكن التلميذ من الاقتراب بشكل كبير من بعض الظواهر ،التي كانت مبهمة عنده و منها. دوران الأرض حول نفسها . أن أنجز نموذجا لاتبين حركة الأرض حول نفسها . منحى دوران الأرض جول الشمس . السنة البسيطة و السنة الكبيسة . أن أنجز نموذجا أتبين به دوران الأرض حول الشمس . ظاهرتي الكسوف و الخسوف و احدد أسبابهما . أن أتبين سبب اختلاف أوجه القمر . أن استثمر تعلماتي في وضعيات جديدة . "By the evidence provided by the potential, the student will be able to approach greatly from some phenomena, which were vague and he has them. The form of the globe. The earth's rotation around itself. Virtual movement of the sun. That the completed model to notice the movement of the earth around itself. Direction of rotation of the Earth Jules sun. Year simple and leap year. I determine that the model was completed by the earth's rotation around the sun. Phenomena of the eclipse and lunar eclipses and I set their causes. I determine that the cause of the different phases of the Moon. Talmati that invested in new positions." Yes, you can see that the accuracy of Arabic to English isn't so great, however, let me ask you this? How many of you are able to highlight the Arabic text on the original blog post and paste into Google Translate? Do you know why it is so difficult? Although you may know this in mind, in practice you may not realize that when highlighting Arabic that you have to highlight from the right of the first sentence and NOT the left! Go on, try it! I have to admit that even highlighting the text to turn it into a block quote on this blog was tough for me. So, here, Kamal in Morocco is talking to Monique in France which is tweeted out by Marsattac in France to a hashtag followed by Vicki in Camilla where she learns and relearns the nuances of translating arabic. A simple thing but how many people would give up and not translate? Could something as simple as this cause communication barriers to those who use online translation services? Just going to this conference has opened up many questions in practice in my hometown. Do I know anyone going? Why yes, I do. I've been following the twitter hashtag since it came across my inbox this week and have now "met" twenty people who will be there in fact, I may go on a tour with a group of teachers traveling from the US on Saturday morning. Yes, I met them on Twitter. I'm going as a member of the press. Why are you considered a "member of the press" don't they know you're just a teacher in a small town? And this, my friends presents the most interesting answer. In shock as I review my first press kit this morning - I realize that although I am inherently distinct and different from mainstream media in almost every way -- from the occasional typos to the personal voice I interject -- but somehow this world now considers someone like me a "member of the press." The interesting thing is that this type of "press" - the blogger is a totally different "animal" so to speak as we are organic in many ways. The moment I started tweeting about going, I started getting dm's and emails from my friends who have been or are going - the moment. I don't have to go to the conference to have "sources" and "interviews" lined up. It is happening already. Also, I am inviting my friends who have attended this Worldwide Innovation Forum in the past to email me at vicki at coolcatteacher dot com - put in the subject #wwief if you will so I can pull you out of the hundreds of emails I get every day. I'd like to know when you went, what you learned, your thoughts on the process, and about your project. You're part of this story. Give me the story. Back to this lovely discussion about Kamal's "organic" experience of arranging planets and stars and watching them interact. We have become a society that is empowered to learn with kinesthetic, practical, hands on experiences. Like the fact that I was reminded about copying Arabic from right to left. Like the realization that as I've been teaching that bloggers who have a following have become considered part of the media of the world. Like the fact that I'm asking you to give me your thoughts on the conference and some of you reading will respond via twitter and email. Immersive teaching is important and immersive experience is transcendent. Sharing experience to create vicarious learning experiences is important. I tell you this - I sold out a long time a go and it wasn't to a company but rather to a dream. It is to the fact that there are many people out there who need encouragement. That we need to use technology to improve our world and what better way to do that than to do it in the classroom? That we need to encourage one another and tell the story of the real teacher. Not the press release packaged - glossed over experience that makes it to most newspapers, but rather the real experience of the teacher who has good days and bad days and sometimes struggles with staying in the classroom. I am sold out to a dream of who I feel called to be. And who I feel called to be has a job of participating in experiences such as this one to funnel learning, perspective, best practices, and encouragement to those of you who honor me with your presence and attention. 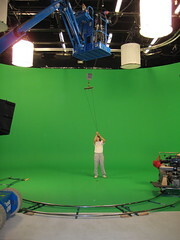 To help us make sense of how we can well-use this technology arsenal that has the power for great harm and great good. To unhook the stars that lie within these processors, these teachers, and these students as we do what we can do to improve things from the "bottom" up. To build this lexicon of learning pedagogy that transcends language and barriers. We no longer need our "official organizations" to build bridges but teachers are connecting directly - classroom to classroom and it will impact the classroom and our society in ways that are going to be another jolt to our world's psyche. A real classroom teacher can go to a conference about teachers to let other teachers know what she thinks about what is happening. This needs to happen more often. Teacher to teacher. Thank you for journeying with me. Thank you for reading my blog, for ultimately your readership is the wind that is propelling me to South Africa and beyond. I look forward to streaming, beaming, and sharing with you in as many ways as possible over the next week. When you see me post sometime Tuesday, I'll be a whole ocean and continent away from Camilla, Georgia. You've come a long way, baby and many miles more to go before you sleep. They are launching voki for the classroom. If you're interested, fill out this form. For pundits who think social media is a negative, this is an example of how this generation redefines the world using social networking to spread statements of a generation more quickly than books can be printed. David Warlick's keynote for Flat Classroom in celebration of our 20th project! I find this series on what frightens us to be completely fascinating. The number one fear being service interruptions and #2 being social media embarrassment are certainly signs of our times! I'm not sure if they have ranked these in order of prominence or not, but it does make some interesting reflections upon who we are as a people when we're afraid of our cell phone service being interrupted. Webb's Wide World » Blog Archive » Cape Town Beckons! One of the teachers in this year's worldwide innovative education forum talks about how she entered. Consider entering for next year for this great event. I'll be blogging next week from Cape Town South Africa as part of this amazing event! Educause guide to implementing a blog in the college classroom. 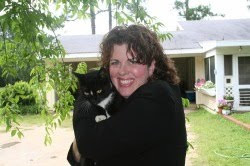 "Could you imagine sending me a short quote about why you think it is important to teach using technology and/or why there should be global connections?" Our students who participate in Flat Classroom and Digiteen are graduating from high school able to say that they have collaborated on a global basis. Sure, twenty first century skills are important, however, twenty first century connections are just as important. Additionally, there are now three forms of writing: traditional essay writing, first person blogging, and collaborative writing such as done on a wiki. There are also other forms of expression. We already have: written expression and verbal expression but now we also have audio expression and visual expression (through video and photography.) To be a well rounded, well educated student they should be able to express themselves well in all of these forms of expression. There are PhD programs in the United States that now require a video to accompany the doctoral thesis. Additionally, there are high schools requiring complete efolios and some of us (myself included) think colleges should add the ability to submit hyperlinks to the college application. In this environment, we must move to specifically incorporate these forms of writing and additional forms of expression into our curriculum from the lower levels all the way through college. In short, global collaboration and the accompanying multimedia, technical profiencies and collaborative skills required is essential to producing a well educated student. For those people who just completely did not understand the words in the previous paragraphs, this points out that also, we as educators must become more literate ourselves in understanding the requirements of an increasingly technical and interconnected world. The first mistake was one of using IM speak. I talked about how we don't use IM speak because it leaves out those who have English as a second language and we embarked on a great discussion about just that point. The students were amazing and very up front about the conversation and having live chat on the Ning. They were just "there." This is what floors me - this generation is SO eager to connect. They want it and in some ways need it. Live chat pulls them in like a magnet. So, we have 900 something kids on the project but to immediately have 7-8 kids pulled into a technology that quickly makes me think. When we put in new technologies how often are the kids "sucked in." What do they think? Well, they told me and I have permission to let you know what they think. You know when a big ship goes down, survivors try to swim away so they aren't pulled into the undertow. But perhaps there are certain technologies that have this same undertow - that by their very presence kids are inhaled into a learning experience. What are those technologies? Have we mastered how to use them? I think I'm still just learning how to master the backchannel but I think that backchannels and live chats are important. The thing that scares most people away is the sandbox experience. The first time a kid comes into a live chat with kids around the world they are almost giddy and want to talk about seemingly frivolous things! They get a little silly. And yet with time, I see them evolve to useful tools of collaboration. These are very useful tools and yet, are we afraid of what live chats can do? Still thinking on this one, but I sure do like technologies that draw students with their magnetic embrace. Chat may be a lot of things but it is magnetic to students. It just is. Notes from the collaborative keynote from ACTEM 2010 that Angela and I did on Friday. Excellent overview. Explore flu trends around the world. Great for class discussions. You can also download world flu activity data. Lots of cool bookmarks from my friends in Maine - so many great classroom ideas. Just scroll through the list of the things recommended by educators. Under the Microscope... uhm, make that "the cell phone"
"diagnose disease cheaply and effectively anywhere in the world." I seem to also think that education could be cast in this light as well. We are looking and working towards more SMS based collaborative models with our projects. How can this work? When I think of the Akanksha organization that works with the poorest of the poor in cities like Mumbai India. Back in February, I sat on the floor of that schoolroom watching the beautiful teachers deliver a flawless lesson on how to speak English to young children with only a notebook and pencil and a dry erase board. No technology.... except. The teachers had cell phones. We have to be so careful about bandwidth snobbery. It is important to remember that there are those we will only be able to connect with using SMS (standard text messaging) that may never have a computer. While I think that high-bandwidth projects like Flat Classroom are essential to being an effective global citizen. It is also vital to communicate with a wide variety of people around the world and this means cell phones. Cell phones -- they're going to be microscopes and in fact, they already are in the mind of this genius, Aydogan Ozcan, featured by Popular Mechanics. But cell phones are the key to much more for us. Sure, right now they are disruptive. They can also be cost prohibitive. They can be misused and are a huge distraction if allowed to be used improperly. "It is all about smartphones... that is where everyone is heading." These smartphones are voice and text-disabled phones that are used primarily for the apps. However, we can do so much more. I'm reminded o f one of my favorite movies, the Man from Snowy River, where the boy who becomes a "man" through the course of the movie tames this one, beautiful majestic stallion and it completely changes his life and leads to the woman of his dreams. Somehow, I think that cell phones are much like "the Stallion." Tough to tame and master -- once we get our arms around these devices and what they can do we are going to find that our schools are indeed, improved. No technology will be the "savior" of schools. The true champions of improving education are the teachers and administrators on the front lines, however, in an environment where we have limited resources, cell phones may just fit the ever shrinking "bill."